NASA's 19-year-old Hubble Space Telescope still has a few tricks up its sleeve! New images were released today from Hubble's new Wide Field Camera 3. Installed back in March, WFC3 extends Hubble's capabilities well into the infrared, allowing it to peer through dust and see further back in time. For a stunning demonstration, click here. A new "ultra deep" infrared image of the Ultra Deep Field was also taken with WFC3. This image should shatter all records for the most distant galaxies observed. 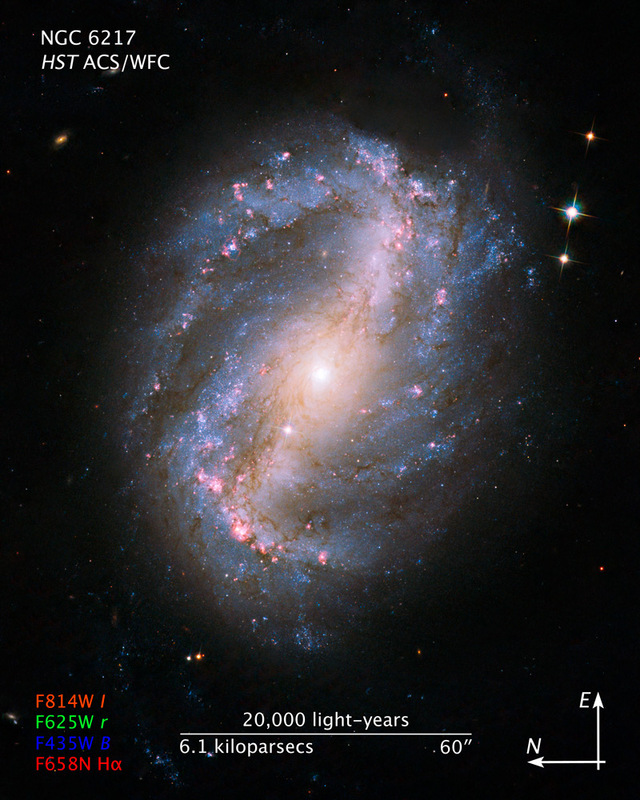 The light from such distant galaxies has traveled billions of years to reach our telescopes. All the while, the universe has been expanding, stretching the light from ultraviolet and visible wavelengths into the infrared. The Infrared Ultra Deep Field might reveal the first galaxies to turn on and reioinze the universe. These images have been released though they are still raw and unprocessed. A week or more will be needed to finish processing these images. While scheduled to be the first WFC3 images released, a surprise visitor to Jupiter back in July spurred scientists to take and release a few images ahead of schedule. While WFC3 stole the show, Hubble's other new and refurbished cameras and spectrographs shared the spotlight Wednesday. The refurbished Advanced Camera for Surveys is still more efficient (in terms of area times throughput) for observations at visible wavelengths. 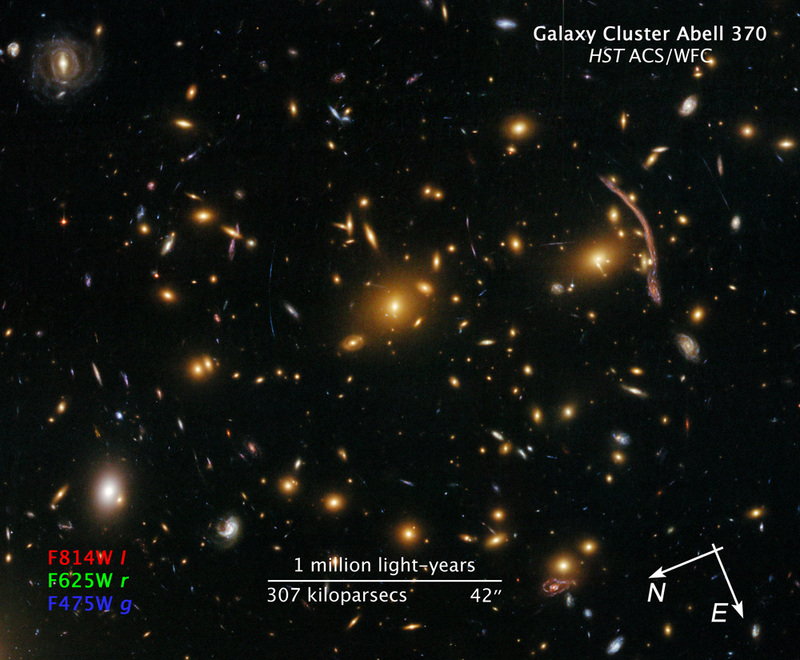 Images of a barred spiral galaxy and a cluster of galaxies exhibiting gravitational lensing demonstrate that ACS is performing about as well as ever. COS revealed its first spectra, while a refurbished STIS revealed more of its own. Spectra are fingerprints of light which reveal the composition of and distances to gas clouds and galaxies. Not all of the observations went according to plan however, and astronomers were sent scrambling to reprocess some of their data. Again, thanks to the public who helped make this servicing mission happen. If we are lucky, Hubble might continue to provide us with spectacular images until the James Webb Space Telescope is launched. For more information and pictures, see the Hubble press release. Our Deepest View Of The Universe Just Got Deeper!